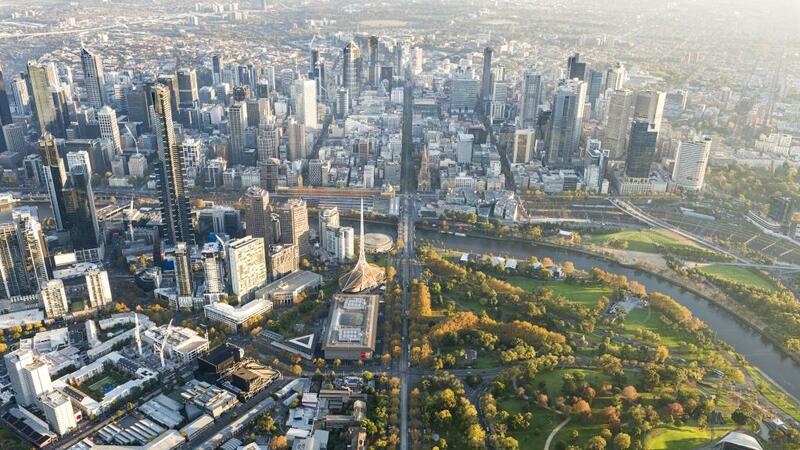 Melbourne is expected to overtake Sydney as Australia’s most populous city within the next eight years. This growth is turning urban developments into hot properties, with apartments and townhouses proving an effective solution to Melbourne’s lack of available housing. “There will always be demand for traditional housing, but preferences are changing as Melbourne becomes a bigger city,” realestate.com.au chief economist Nerida Conisbee says. “Unparalleled population growth will continue to change the face of Melbourne, according to Urban Development Institute of Australia Victorian chief executive officer Danni Addison. “While relative affordability is a factor in the shift, developers are starting to integrate features such as communal parks and shared vegetable gardens within their projects, adding further appeal to apartment living,” Ms Addison says. These developments also present gateways into home ownership for those trying to break into Victoria’s hard-to-crack property market. “As the price of houses continue to skyrocket, contemporary apartments will become a more popular form of housing for a broadening range of people, especially for those who want to live inner city rather than being pushed 20 or 30km out of the CBD,” Ms Addison says. Ms Conisbee agrees, saying: “A decade ago, most first-home buyers wouldn’t consider an apartment in Melbourne, but now we’re seeing almost as many first-home buyers looking at apartments as investors. Geelong is the most surprising suburb on the most popular locations for new apartments list compiled by research tool Real Demand, a collaboration between realestate.com.au and BigDatr. But Geelong isn’t a “wild card entrant”, according to Ms Addison. “As the link between our first and second city becomes more established, and property prices drive more people out of Melbourne, Geelong will experience increased demand,” she says. Ms Conisbee says “infrastructure is a big challenge in Melbourne, and it’s starting to threaten liveability”. “In some inner areas, roads are getting congested, public transport is overcrowded and schools are struggling to cope with demand,” she says. Ms Addison believes Melbourne’s current infrastructure will be put under further strain if upgrades aren’t made in the near future. “Our population is growing at an unprecedented rate and there is no shying away from the complex housing affordability crisis that is worsening for our communities,” she says. “Being able to walk, cycle or catch public transport to jobs and amenities should not be a right reserved for only the privileged, but if we can’t unlock housing opportunities in well-serviced areas then that will be the reality. “Proximity and access to all the daily necessities — amenities such as jobs, schools, childcare, shops, open spaces and healthcare — is very important,” Ms Addison says.